A MASTERFUL JUXTAPOSITION OF CLASSIC & CONTEMPORARY, THIS CAPTIVATING IN TOWN GEM IS SETTING A NEW STANDARD IN LUXURY LIVING & TRULY HAS IT ALL. RESORT LIKE POOL & POOL HOUSE, WALK OUT LOWER LEVEL, 4 STOP ELEVATOR, WRAPAROUND SCREENED PORCH, 2ND KITCHEN & AUXILIARY BUILDING. SET ON NEARLY AN ACRE & THIS CLOSE TO TOWN IS RARE & PROVIDES IMMENSE PRIVACY. 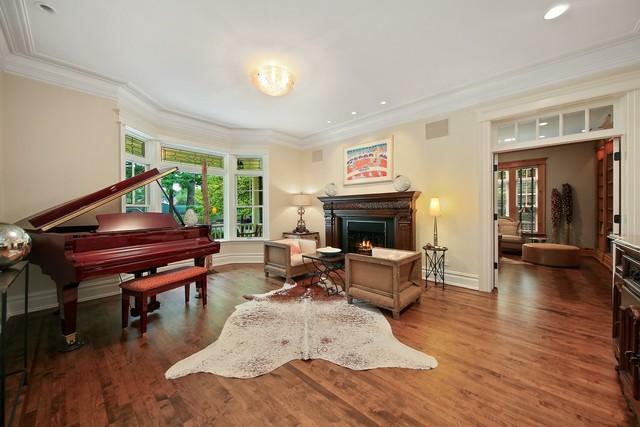 COMPLETELY UPDATED & MASTERFULLY DESIGNED INTERIOR W ELEGANT FOYER, COUTURE DIN RM. THE MOST REMARKABLE KITCHEN FEATURED IN BHG W WASHED HICKORY CABINETS THAT SEAMLESSLY UNITE W STEEL, QUARTZ, WOOD & ALL THE BEST NAMES -WOLF, SUB ZERO, KOHLER, CRESTRON. 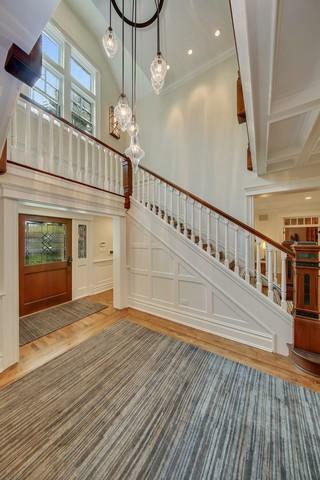 BREATHTAKING FAM RM, HANDSOME LIBRARY, GORGEOUS MASTER SUITE W ZEN -LIKE SPA BATH & WORLD CLASS CUSTOM CLOSET. ALL EN-SUITE BEDROOMS W RENOVATED BATHROOMS. LL W BAR W WINE CELLAR, PRIVATE OFFICE, FULL BATH, STONE FIREPLACE, GAME ROOM. THE MAGNIFICENT YARD W SHOW STOPPING GARDENS & OUTDOOR PATIO FEATURES A BESPOKE GRILLING STATION & CONCRETE DINING TABLE. WALK TO TOWN, TRAIN & ALL SCHOOLS!